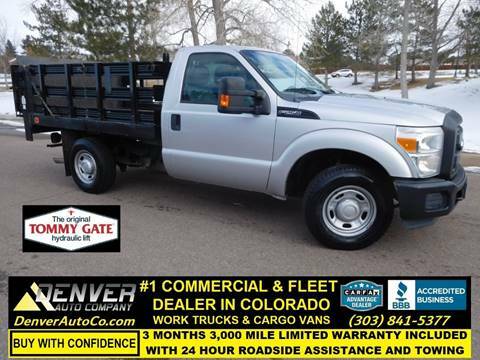 We would like to thank you for visiting our website and considering Denver Auto Company for the purchase of your pre-owned vehicle. It is our goal to provide you with an excellent purchase and ownership experience. We offer Quality Vehicles, Competitive Pricing, and have a Commitment to High Standards of Customer Service. We strive to make each buying experience easy and comfortable for each and every customer. We don't believe any customer should have to sacrifice Quality for a Lower price when you can enjoy Both! Our customers know that when it comes to purchasing a vehicle online, they can always count on us. All of our vehicles are carefully selected, thoroughly inspected and properly serviced in our SERVICE DEPARTMENT so that you may buy with confidence. We understand that buying a vehicle online or by phone is a little different then physically looking, touching and driving it, that is why we try our best to list as much information as possible and as many photos as possible on each new automobile we offer for sale. Thank you for sharing your confidence in us and be sure to check back often for updated specials.